At Grasshopper Leisure, you can find bike carries for campvera, Fiamma carry bike cycle rack here. 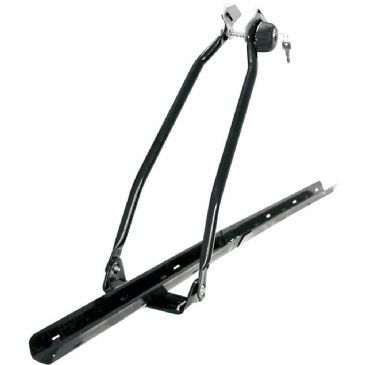 We provide a wide range of bike carriers, bike carriers accessories, bike carriers for campervans, bike carriers for caravans, bike carries for cars, bike carries for motorhomes, carry-bike garage. The Fiamma Carry-Bike Backpack 4x4 for SUV with rapid installation to the rear spare tyre thanks to the sturdy straps. Before mounting remove the rigid cover of the spare tyre. The Fiamma Carry-Bike VW T5 D is designed specifically for the Volkswagen type 5 or type 6 campervan with double rear doors. The Fiamma Carry-Bike Volkswagen Van bicycle carrier is made from strong and sturdy anodised aluminium. The Mercedes V Class Premium carrier is supplied as standard with two rails which can easily carry up to 4 bikes. This version allows you to install the rail support base in two different positions, one standard height and the other one lower. This makes it easier to load the bikes. The lower version must be used with the License Plate Carrier, which has the license plate holder and regulations lights. The Fiamma Carry-Bike VW T5 Pro has a completely renovated structure and is more innovative than the standard version. The stylish design harmoniously follows the line of the vehicle without covering the lights and the number plate. The Fiamma Carry-Bike VW T5 Pro is easy and quick to install or dismount and has excellent rigidity on the rear of the rear of the vehicle. The Fiamma Carry-Bike Backpack bicycle carrier is an ultra-versatile bicycle carrier designed for minivans. Not suitable for fibreglass rear doors. 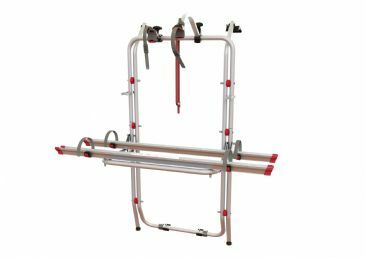 No tools are required for installation, 6 superior heavy duty quick lock straps secure the bike carrier to the vehicle with the sturdy anodised aluminium frame for holding two or three bicycles. 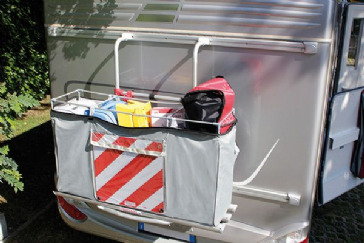 Fiamma Carry-Bike 200D is a cycle carrier for vans with double rear doors. 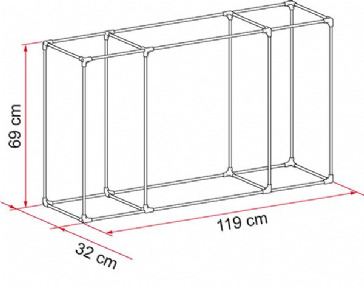 The frame is adaptable from 58 to 62cm to adapt to different rear doors, with narrow easy-to-use upper wall installation steel brackets. Upper wall installation steel brackets are only 34mm wide. Bike carrier for vans with double rear doors. It is not necessary to drill holes in the vehicle, except for the security screws. The rear door can be opened without removing the bicycles. 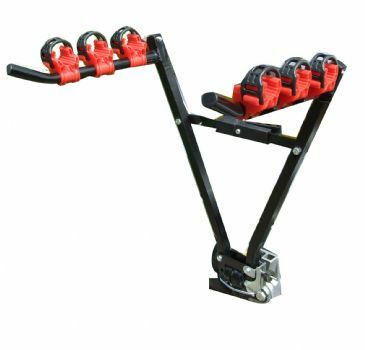 Can be combined with the Deluxe 6 DJ ladder. Suitable for all Ford Transit vans produced 2000-2011, the Fiamma Carry-Bike Ford Transit Van bicycle carrier easily fits to the single rear door of your van without needing any drilling. Made of anodised aluminium, it carries two bicycles easily or can be upgraded to carry three bikes! Fiamma Carry-Bike for the new models Ford Transit Custom and Ford Tourneo Custom. It adheres to the lower part of the rear thanks to its contoured profile that follows the shape of the vehicle. The Fiamma Carry-Bike Vito is easily fitted without the need to drill the rear door. Door remains operational even with bikes fitted, although support must be provided to the door when opened. Use Carry-Bike Viano for post 2004 Mercedes Vito. Fiamma Carry-bike suitable for Opel Vivaro and Renault Trafic with single rear door.Easy installation with the standard delivered brackets, without drilling the vehicle. 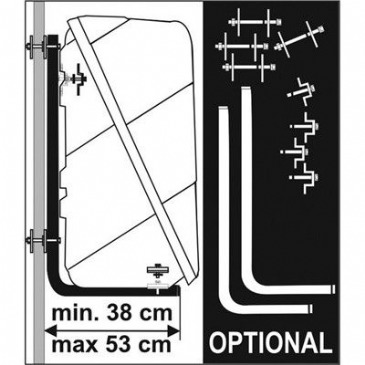 Easily installed onto rear door with no drilling necessary to fit, door can remain in operation with bikes installed but will require support when in use. Fiamma Carry-Bike for Mercedes Viano and Mercedes Vito (after 2004) motorhomes and minivans with a single rear door. Easily fitted with no drilling required and door remains operational even with bikes fitted, although support must be provided to the door when opened. The Fiamma Carry-Bike VW T2 bike carrier has been specially designed for Volkswagen T2 camper vans with single rear door from 1967 - 1979. Easy installation with the standard delivered brackets. The Fiamma Carry-Bike VW T3 and T25 bike carrier has been specially designed for Volkswagen T3 and T25 camper van with single rear door from 1979 - 1992. Easy installation with the standard delivered brackets. Bike carrier specially designed for Volkswagen T4 with single rear door. Easy installation with the standard delivered brackets, without drilling the vehicle. The Fiamma Carry-Bike VW T4 D is designed specifically for the Volkswagen type 4 campervan with double rear doors. The Fiamma Carry-Bike Volkswagen Van bicycle carrier is made from strong and sturdy anodised aluminium. 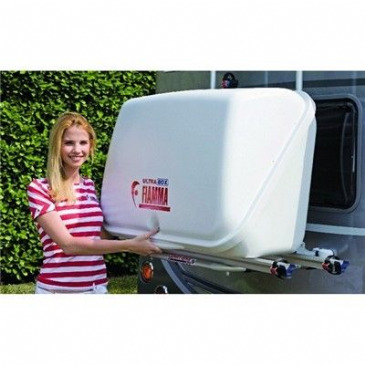 Specifically designed for use with Single Door Volkswagen T5 Camper vans. (After July 2003 ONLY) It is easy to install and all standard brackets are supplied, no need to drill your vehicle. The Carry Bike VW T6 Pro. Stylish design harmoniously follows the line of the vehicle without covering lights and number plate. Simplicity and speed of installation / demounting and excellent rigidity on the rear of the vehicle. Can take up to 4 bikes with a maximum of 60KG in total. The Mercedes V Class Lift E-Bike carrier has a support rail that drops by 77cm enabling easy loading and unloading of the bikes. The carrier comes with the License Plate Carrier as standard.